Scholarships can be a crucial factor in determining where you choose to go to College. There are a range of scholarships available each year, and applying to them marks the beginning of your college life. Scholarship grants can vary, so pay close attention to them. Your applications are a vital step in your search for financial aid and it is important that you get them right. There are several scholarships that you can apply to, regardless of your background and interests. You've worked hard throughout the course of your study, and now is the time for you to earn that scholarship. There are certain things you as a student can do to ensure that your scholarship applications don't fail you. Most Universities require an average GPA to provide scholarships to students, therefore it is essential that you maintain good grades. Once you have maintained a certain level of academic achievement, you can apply for merit based scholarships, these scholarships are geared towards high performance in your studies. Many students often miss out on scholarships for not providing complete information about themselves. You will not be eligible for a scholarship if you do not provide important details such as information on your schooling and other life influences. Ensure to include details that show why you need the scholarship, as these details are crucial for your college applications. Be certain to provide a point of contact so you can be reached easily. 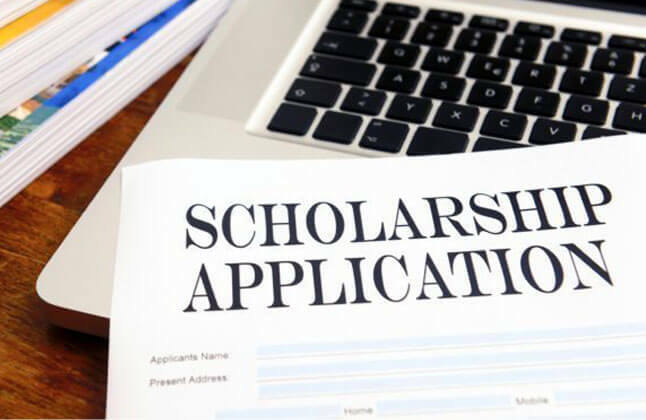 Some students may be required to submit an essay for their scholarship application, if this is the case, ensure that you stay on topic, you can lose out on scholarships for not keeping to the topic. While some students may want to show how well versed they are with a given topic, this at times could get them excluded from the scholarship altogether. Most scholarship applications require students to answer questions before granting them scholarships. However, how you choose to respond to these questions can help you secure the scholarship or lose it altogether. It is important that you answer these questions in a well-informed way, so that you do not miss out on the scholarship. Moreover, it is also important that you are able to back up what you put into your application. Students often lose out on scholarships by missing out on deadlines. It is important that you give yourself an early start, while simultaneously keeping track of these deadlines. This way you will have plenty of time to work on your applications and will be able to submit them well before the deadlines. Some students are in such a haste to submit their applications that they end up submitting one that is incomplete. Unless stated otherwise, response to each question is necessary for a successful submission. Failure to fill a section can disqualify you and your application will not be reviewed. There are certain scholarships that require letters of recommendation or a statement of purpose, you need to carefully manage your time, and ensure that you submit these before the given deadline. Once your application is complete, ensure that you set aside time to review and proof read everything that you've written on your application. Simple mistakes could cost you a scholarship. "Edwise is the best option if you want to go abroad for your studies. They will help and guide you in all the process. Thanks to Edwise." "Edwise provided me with proper guidance and motivated me. They also gave excellent advice in applying for university and visa process." "My experience with Edwise was very good. The counselors are very helpful and they have detail knowledge about the universities and the courses. They helped me with the visa process as well. Thanks to Edwise." "Edwise is the best for getting proper information. I have no words to explain. Everything explained really well." "My experience with Edwise was very good, I had the opportunity to interact closely with the counselor get my doubts cleared and also got valuable tips and guidance." "Excellent Service, Personal Attention and Exposure to relevant information required for pursuing any course abroad." "My experience was very good the whole process was made easy for me. Everyone was very friendly & helpful to me."